They just don't make bands the way they used to in the '80s - with ludicrous names, terrible outfits, over-the-top hair and great songs all the order of the day. So far, we've made our way through A-J in Part 1 and K-P in Part 2, which leaves the end of the alphabet and another 15 bands to remember from music's best decade. When I was younger, I used to get this band confused with The Motels. Both were successful around the same time and featured female vocalists, but Quarterflash singer Rindy Ross went one further than Martha Davis by also playing saxaphone. This group were ultimately less successful, however, with debut single "Harden My Heart" (number 6 in Australia, number 3 in the US) pretty much the only song anyone ever remembers - although I also like 1983's "Take Me To Heart", the lead single from second album Take Another Picture. Quarterflash is apparently an Australian slang term from the turn of the century (19th to 20th) for immigrants - but it's one I've never heard of until now. Still, it's a lot better than the name under which "Harden My Heart" was originally released: Seafood Mama. 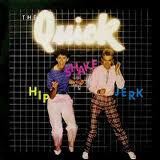 Not to be mistaken for the US band who had a couple of albums in the mid-'70s, this The Quick were a UK duo who were strangely (albeit briefly) popular in Australia - with two top 20 hits - despite a complete lack of interest just about everywhere else. 1980's "Hip Shake Jerk" was the higher placing of their two chart hits here, but I prefer "Rhythm Of The Jungle" from a couple of years later. There's probably no trend as quintessentially '80s as breakdancing, the name given to the dance style of b-boying as it broke out of the underground to become a truly mainstream phenomenon with movies and chart hits dedicated to it. 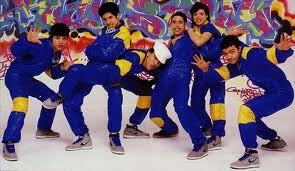 In many ways, Rock Steady Crew were the Justice Crew of the era - a dance collective who ended up with a record deal. The difference was, singles like "(Hey You) The Rock Steady Crew" and "Uprock" were good. 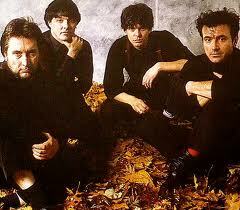 A version of RSC is still around today - with a completely fresh line-up of members, of course. 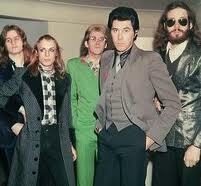 By 1980, both Roxy Music and lead singer Bryan Ferry were well established in their own right as chart fixtures, although to me, the group were only just hitting their stride as the new decade rolled around. Fresh from a brief hiatus, the band's songs up until their split in 1983 (which included such tracks as "Same Old Scene", "Over You", "Jealous Guy" and "More Than This") were all pretty flawless. Bryan would also release what I view to be his best work during the '80s, with songs like "Kiss And Tell" and "The Right Stuff". 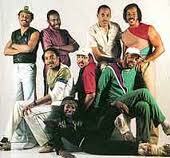 Initially successful in 1980 with "Take Your Time (Do It Right)", The S.O.S. Band became one of the first acts to benefit from the production team of Jimmy Jam & Terry Lewis - the collaboration producing one of soul/R&B's classic tunes: "Just Be Good To Me". More great tracks followed, like "The Finest" and "Borrowed Love", but the group was destined to be big in the clubs and not the charts. Singer Mary Davis left for a while, but when her solo career stiffed (despite production from LA Red & Babyface), she rejoined the group and a slimmed down line-up still performs today. I've never had any time for punk music - probably because I was an infant at the time of its explosion in the UK and grew up on the glossy pop of the '80s. The Stranglers were one band who survived the punk era and progressed their sound to something much more palatable over time. "Golden Brown" is the song they're best known for, and while it is a brilliant song, I prefer "Always The Sun" and "Skin Deep" from later in the decade - two tracks which are about as far away from the thrashy noise of punk as you could get. The Saints aside, punk was never as big in Australia as it was in the UK, with Aussie pub rock carrying straight on from the '70s into the '80s. 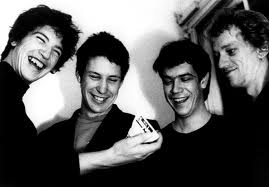 The Sunnyboys launched at the start of the new decade and were responsible for a handful of underrrated songs like "Alone With You", "Happy Man" and "You Need A Friend", none of which made it into the top 20. Speaking of bands whose names start wih the letter S, singer/guitarist Jeremy Oxley's sister, Melanie, was in another '80s band I liked, The Sparklers. Like so many bands formed in the late '70s, Talking Heads didn't interest me until the '80s when there was less of the quirkiness of "Psycho Killer" and more of the pop of "And She Was", "Road To Nowhere" and "Wild Wild Life". 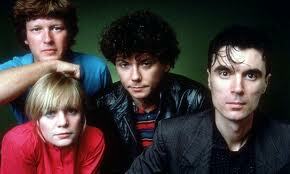 Ahead of their time and incredibly influential, Talking Heads wound things up in the early '90s, having peaked commercially with 1985's Little Creatures album. Like The Quick, this Dutch group was another act that was inordinately popular in Australia compared to elsewhere in the world. Yes, it only lasted for two singles - but what great songs they are! Besides "I'm Only Shooting Love" (number 9 in Australia), the band's only other top 50 entry was "Endless Road" (number 5 in Australia), which even came with a music video filmed locally. 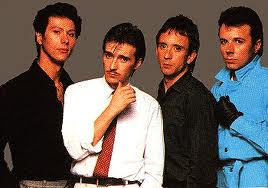 "Vienna" got all the glory - although not, famously, a number 1 placement in the UK, denied the top spot by none other than Joe Dolce Music Theatre's "Shaddap You Face" - but that epic synth ballad was not typical of all of Ultravox's '80s output. Many songs, like "Dancing With Tears In My Eyes", "The Voice", "Hymn" and "Love's Great Adventure" were more upbeat - and were all released by the best known line-up of the band. And, there were a few different ones! Best known frontman Midge Ure didn't actually join the group until 1979 - the band existing for years before that with John Foxx on vocals. 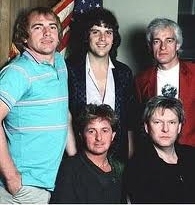 Another band that featured the musical talents of Midge Ure (who was also one of the writers of Band Aid's "Do They Know It's Christmas" and had a solo career - busy guy), Visage was created by Blitz club runners Steve Strange and Rusty Egan and hit paydirt with worldwide smash "Fade To Grey". Eponymous single "Visage" was another hit from the group's debut (and also self-titled) album, and, despite Midge and other members moving on to other projects (like Ultravox), most returned to contribute to the follow-up The Anvil, which yielded a couple of minor hits. The same wasn't true for Visage's third and final studio album, with only Steve and Rusty from the original line-up still present by the time Beat Boy hit stores. Many of the bands on this list had their roots in the '70s, but this soul vocal group dates back even further - they launched in 1964 and had the same line-up from 1973 to 1992, when five became four. 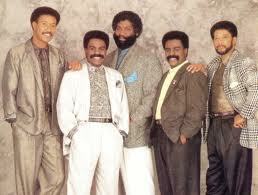 Since then, The Whispers have been a foursome, but I'm a fan of two of their three big '80s hits. From the start of the decade, "And The Beat Goes On" was a medium-sized hit in the US and even bigger in the UK. (In 1998, Will Smith sampled the hook for his track, "Miami".) Then, "Rock Steady" saw the group collaborate with producers LA Reid & Babyface and finally score a top 10 US hit in 1987. Thank goodness for XTC! Without them, this list just wouldn't work. And, they're actually legitimately on this one-hit wonder-free list, since they scored a couple of major hits during the '80s with "Generals And Majors" and "Senses Working Overtime". 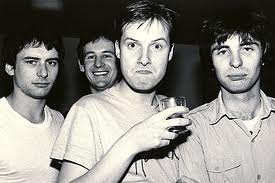 The success of the latter track coincided with the band's move from being a touring band to just working in the studio on account of singer/guitarist Andy Partridge's crippling stage fright. Progressive rock was a big deal in the '60s and '70s, no doubt linked to all that drug taking on the parts of both musicians and listeners. But, it's not that section of Yes' career I'm interested in. Instead, for me, it's all about their quasi-reunion in 1982, which produced the much more mainstream hit, "Owner Of A Lonely Heart". "Love Will Find A Way" from their 1986 album, Big Generator, is another track that displayed a completely new - and, dare I say it, better - sound from their first phase of their career. Here we are at last - the end of the alphabet and to a band that has been going since 1969, with the same line-up since 1970. The trademark beards, however, didn't arrive until 1978-1980 (these things take time!). In the '80s, ZZ Top shifted gears musically and, like Van Halen and other rock acts, embraced synth-based sounds. The result: their biggest hit, "Legs". "Sleeping Bag" and "Gimme All Your Lovin'" were also successful tracks from the decade. Since then, the group has maintained a regular touring and recording schedule, while recently, singer Billy Gibbons has popped up on TV's Bones playing a fictitious version of himself. Normal scheduling resumes on Thursday (January 10), when we look back at the first ARIA chart from 1988.